Music fans will be happy to know that dates for folk and jazz festivals in Newport have been announced! 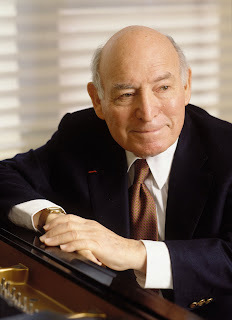 Music impresario George Wein announced today that he will produce and present George Wein’s FOLK FESTIVAL 50, July 31 – August 2, and George Wein’s JAZZ FESTIVAL 55 August 7 – 9 in historic Newport, RI. Both festivals will include two full days of music at Fort Adams State Park and a Friday evening concert. Artists for both festivals will be announced in early April. The tradition of excellent music festivals in Newport is sure to be upheld with legendary producer Wein at the helm. Both he and Newport are well known for presenting a bevy of excellent performers. So, I'm sure we're in for a stellar line-up at both festivals.